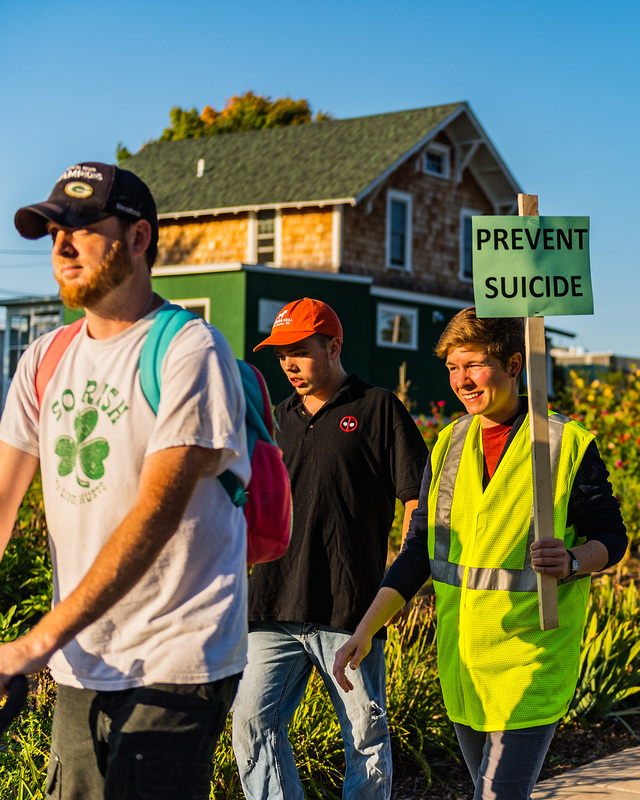 Dozens of residents took part in the Suicide Awareness Walk Sept. 10 in Sturgeon Bay. Public health officials have identified mental health issues as one of Door County’s top public health issues. Photo by Len Villano. When Sunset Elementary School Principal Ann Smejkal started her career in education 37 years ago she said she would see one or two students in a classroom with significant behavioral issues. Today she says it’s common to see four or five, or more. “School professionals are finding that more 4- and 5-year-olds are arriving at school without the skills needed for school readiness,” Smejkal said. That’s shown in an increase in students at risk in reading and math, but more alarming is the increase in behavioral problems. In 2015, Smejkal reported that 14 percent of 4k students and 30 percent of kindergarten students had a discipline referral in the first quarter of the school year. She attributes much of the problem to economics. When she came back to Sturgeon Bay schools 12 years ago, 26 percent of elementary students were eligible for free or reduced lunch. Today, every elementary school in Sturgeon Bay reports more than 50 percent of students are eligible. Down the line more of these students are continuing to struggle with those issues in middle school and high school, grappling with emotional and social issues that teachers aren’t equipped to address. Schools are seeing an increase in depression and anxiety, trauma in the home environment, incarcerated parents, and other issues that result in more students acting out in school. In the most recent youth risk behavior survey of Door County students, 34 percent of students reported being bullied, 15 percent said they considered suicide within the last 12 months, and five percent made a suicide attempt. Teen crisis calls are up, with 23 percent of calls to the county’s crisis hotline coming from youth age 18 and below in 2017. Child abuse and neglect reports are also on the rise. In 2009 the Department of Human Services received 239 child welfare reports. That number rose to 402 in 2017. A new pilot program funded by United Way will launch in October to address one gap in addressing these issues. The STRIDE program (Strengthening Trust and Resilience, Instilling Independence, and Discovering Empowerment) is committed to removing the three major barriers to youth mental health treatment: cost, travel and the low number of local providers. At a roundtable discussion in January, Door County public health officials identified the lack of psychiatrists, especially child psychiatrists, as one of the county’s greatest public health problems. 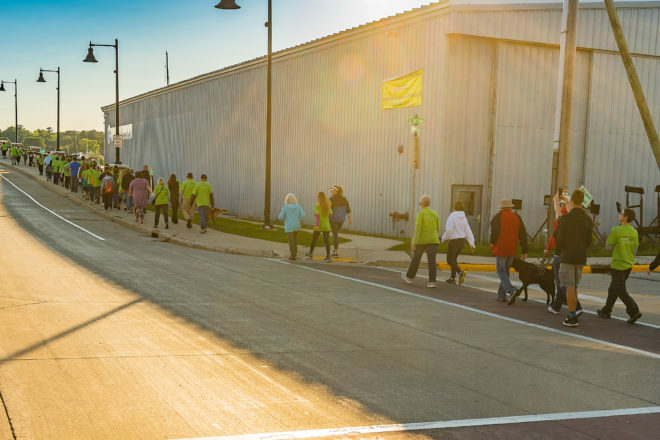 In Wisconsin the ratio of residents to mental health providers is 623 – 1, but in Door County it’s 715 – 1. Availability is even slimmer in northern Door County. If a student needs to see a counselor, they often have to wait weeks for an appointment, then travel to Sturgeon Bay or Green Bay for services. That can take students out of school for half a day or more, and require parents to take significant time off work. Funded by the United Way, STRIDE will place a mental health counselor in each of the four mainland Door County schools one day per week. Counselors are provided by Door County Medical Center, Counseling Associates of Door County, Bellin Health, and Door County Human Services, who have all agreed to donate their services for the first three months of the program. The program is the result of more than two years of discussions among providers, funders, schools, mental health organizations and county staff. Barbara Johnson-Giese, behavioral health coordinator at Door County Medical Center, said schools are enthusiastic about the program. Johnson-Giese hopes the program helps reduce the stigma associated with mental health issues by bringing them forward rather than hiding them. Tim Mulrain, dean of students at Gibraltar Schools, said schools won’t incur any cost through the program, and no students will be forced to participate. The services will not initially be available to students already engaged with a counselor. The first phase will be targeted at those students who haven’t been able to find care due to cost or transportation hurdles. Mulrain said the schools will identify students who could benefit from counseling. When United Way President Grace Rossman announced the program at a kickoff event in August, she lauded the groups that collaborated to bring the program to life.